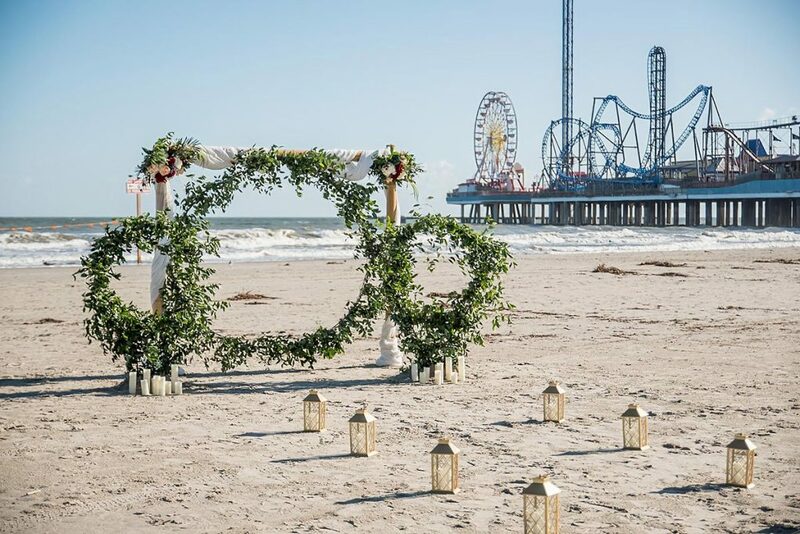 We're sharing this real customized Galveston cruise wedding! 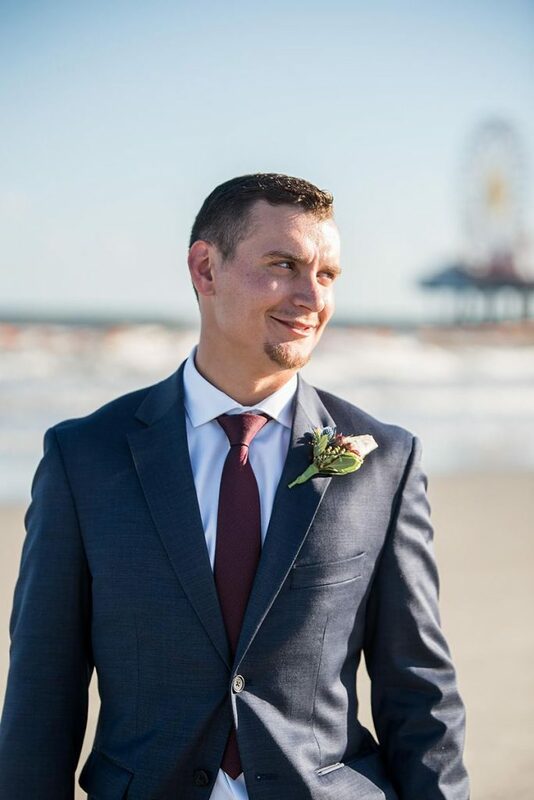 Let’s chat about your Galveston wedding! 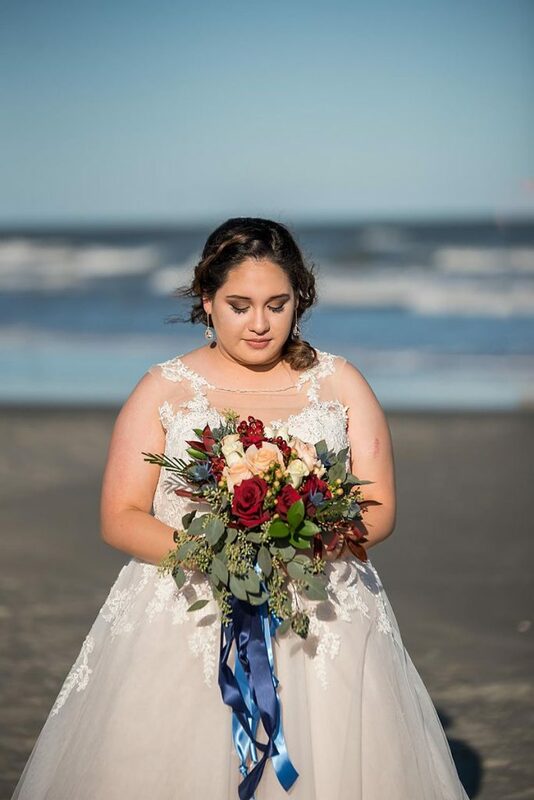 We’re sharing a real Galveston cruise wedding experience! 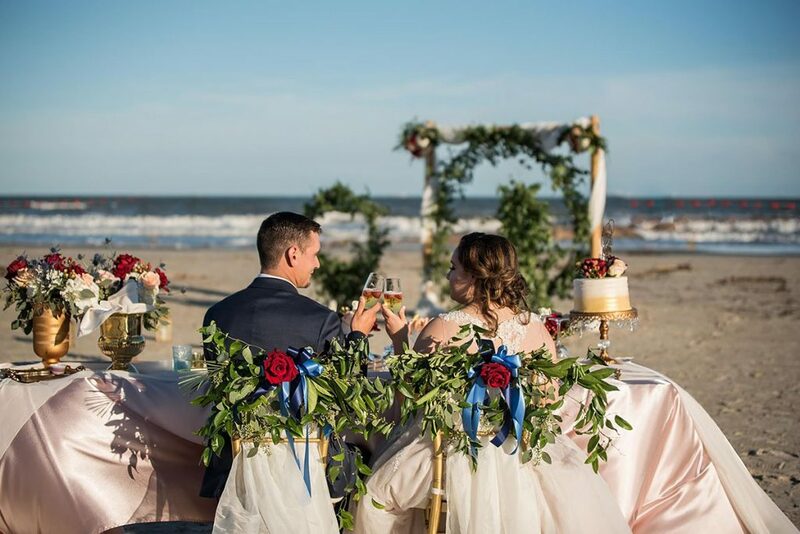 It’s that time of year and we love creating tailor made experiences for our Galveston cruise wedding couples! Some brides are busy recreating their childhood bridal visions. Yet, others simply can’t imagine the stress that comes with planning a huge wedding. 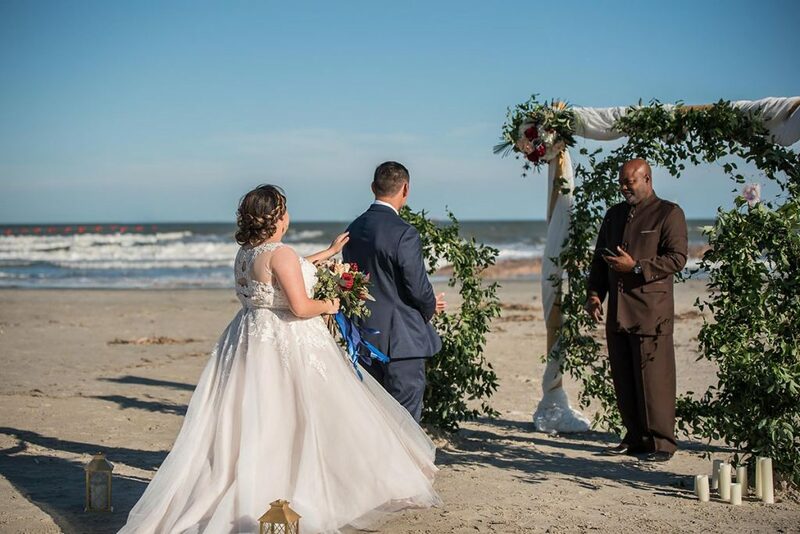 Our couples appreciate a true show-up and get married experience prior to their Galveston cruise wedding. 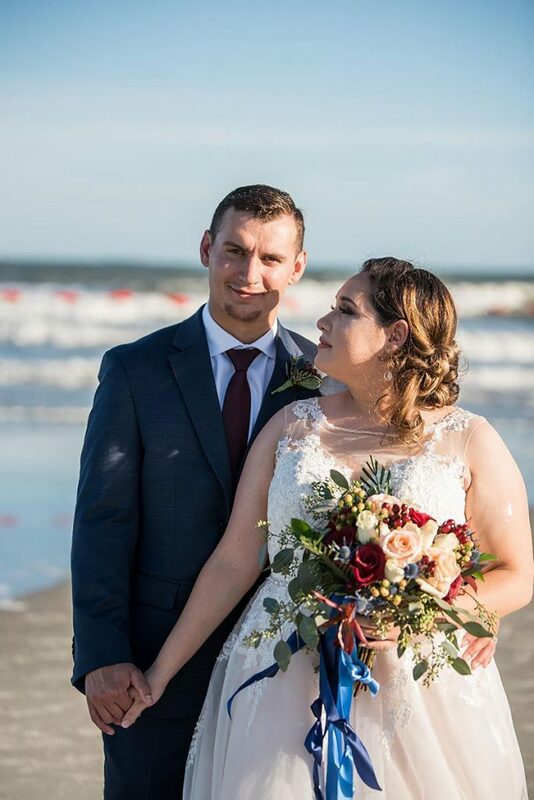 This Galveston cruise wedding took place prior to the couple departing on their Caribbean honeymoon cruise. 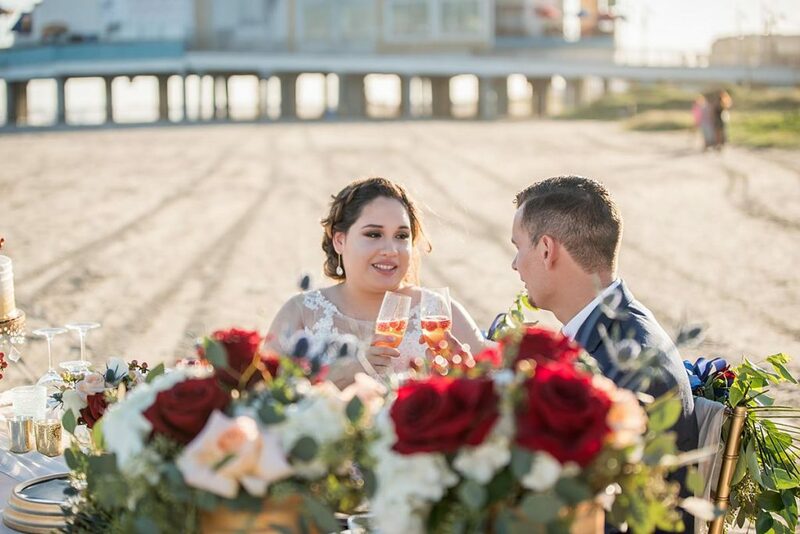 Andie and Joseph shared how they witnessed the stress of watching close friends plan their weddings. They were certain that was not how they wanted to spend their wedding day. 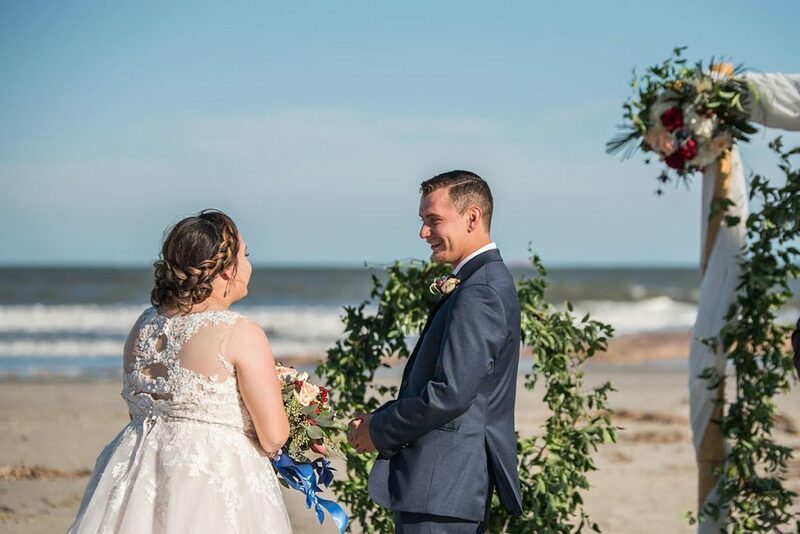 Instead, they contacted us with a vision of a worry-free elopement experience, followed by them sailing away for their honeymoon. 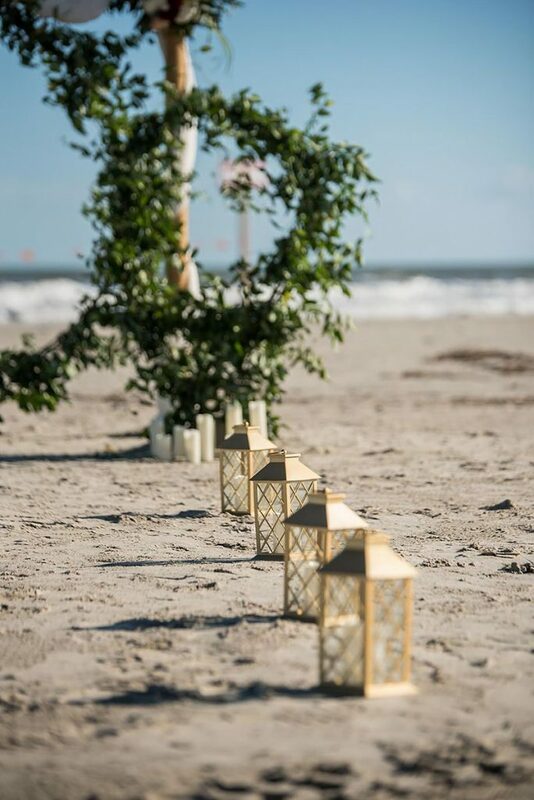 After consulting with Andie, we took her love for garden and infused it with her strong desire for a beach wedding. Hence, their true love story was so fitting for a circle of love ceremony setting! 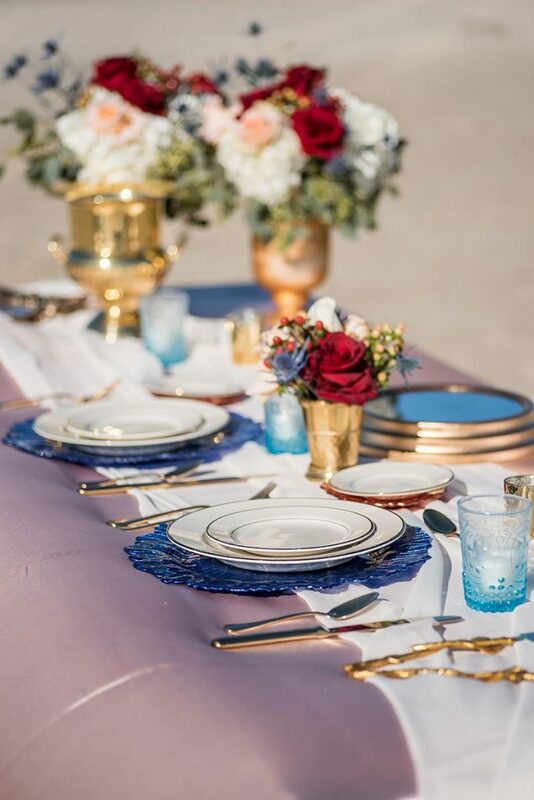 We coupled Andie’s vision with the inspirational beauty of Galveston’s ornate Victorian gold decor elements that can be seen in many of the historical homes on the island. 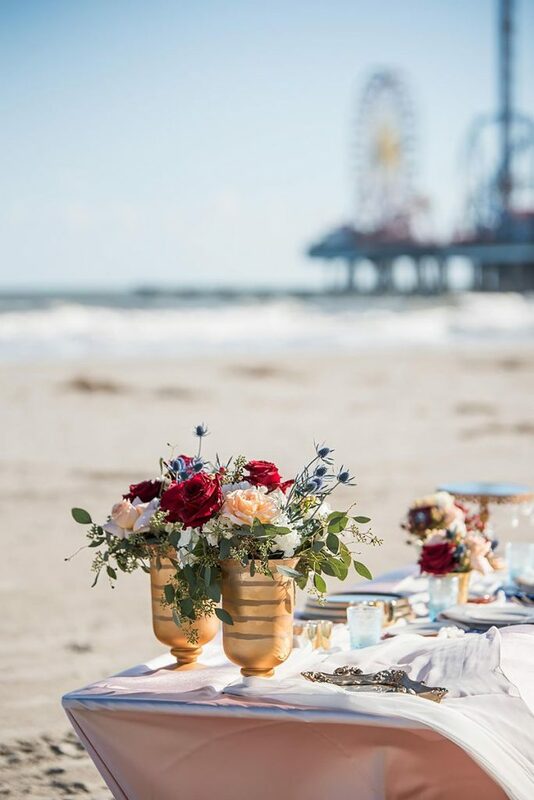 Golden accents with pops of ruby reds and wine floral blooms were a sweet setting for this couple’s Galveston cruise wedding experience. 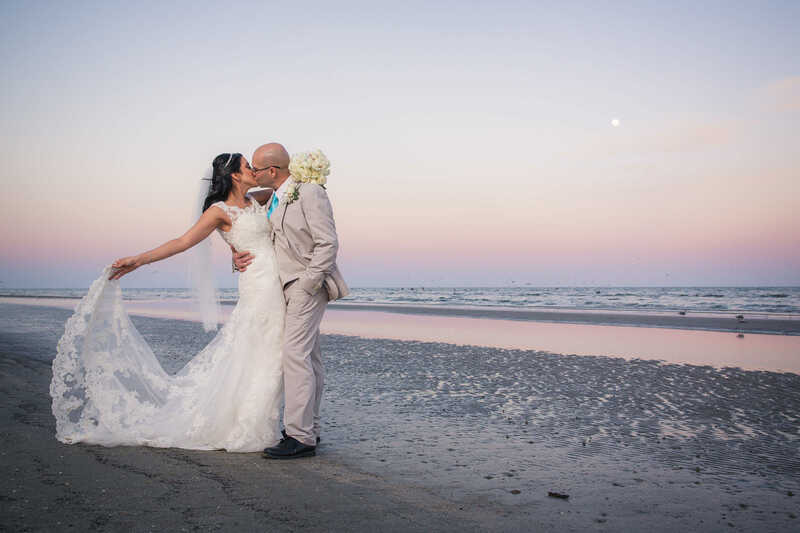 We had a blast working with this couple and hope that you enjoy viewing their elopement story that was magnificently captured by Ronnie Bliss Photography. It was truly a magical experience, beautifully documented by Ronnie herself! 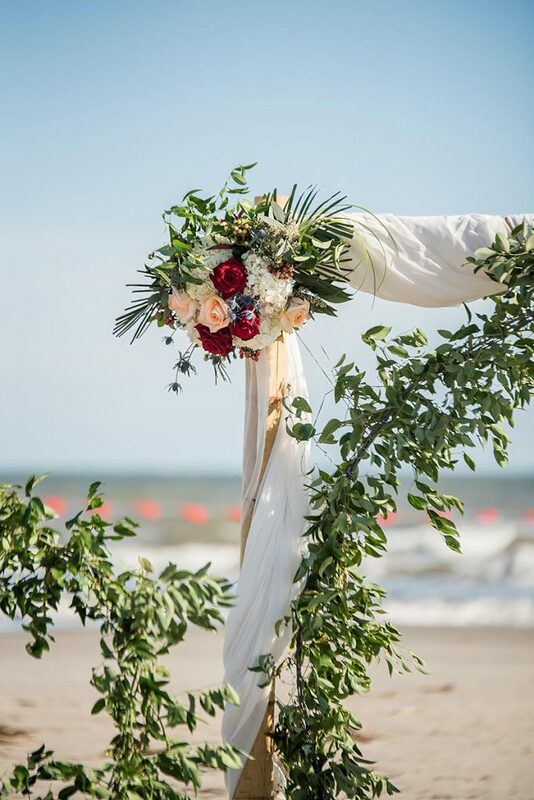 The bamboo arch structure was adorned with chiffon, a circle of love greenery and adorned with fresh floral accents. Battery operated wax candles and lanterns lined the aisled and framed the ceremony area. 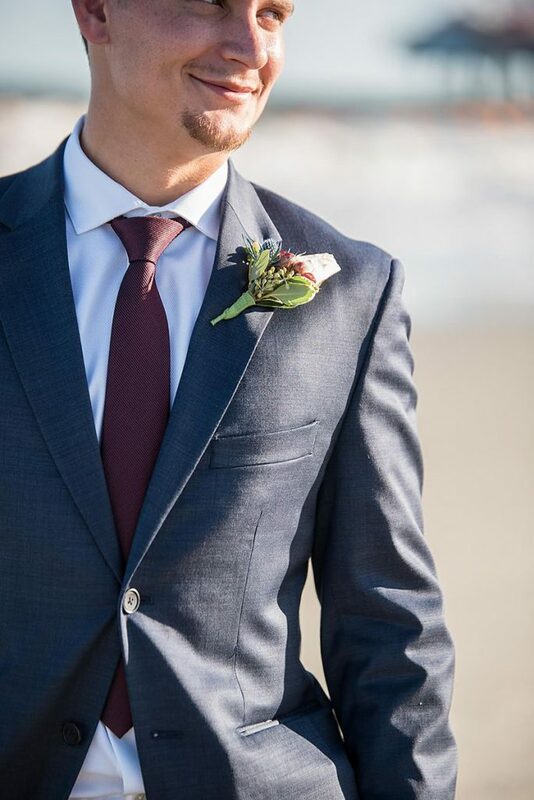 The groom wore a crisp navy Calvin Klein suit with a wine-colored tie. The bride arrived excited to see her groom! 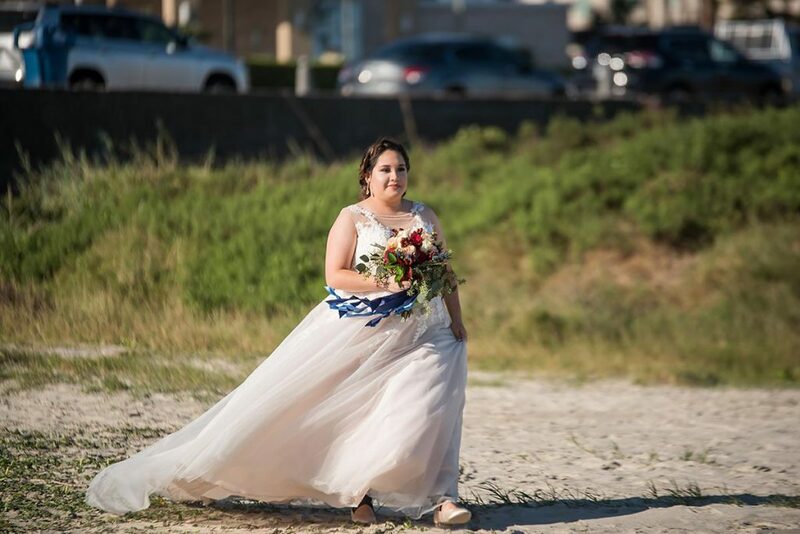 Andie walked down the aisle to “I Just Want to Love You” by The Shires. Instead of a first look prior to arrival, the couple had a first look at the altar. Joseph was equally excited to see Andie! 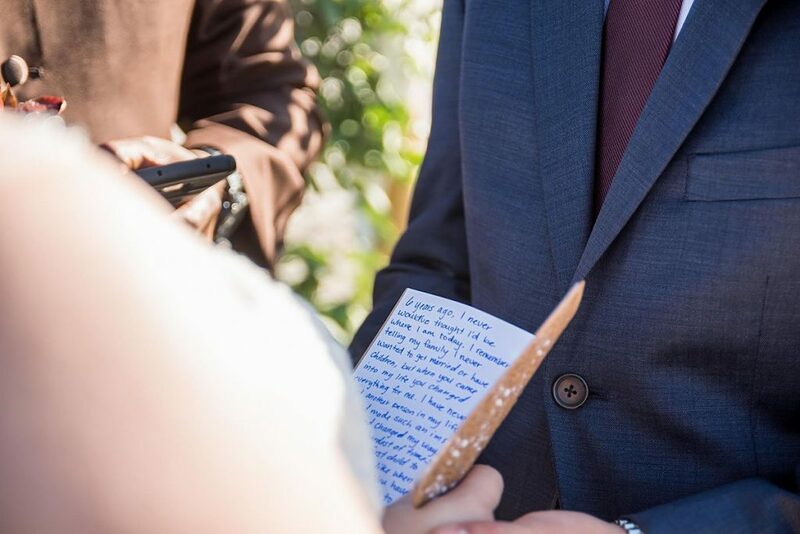 They wrote such heartfelt vows to each other. 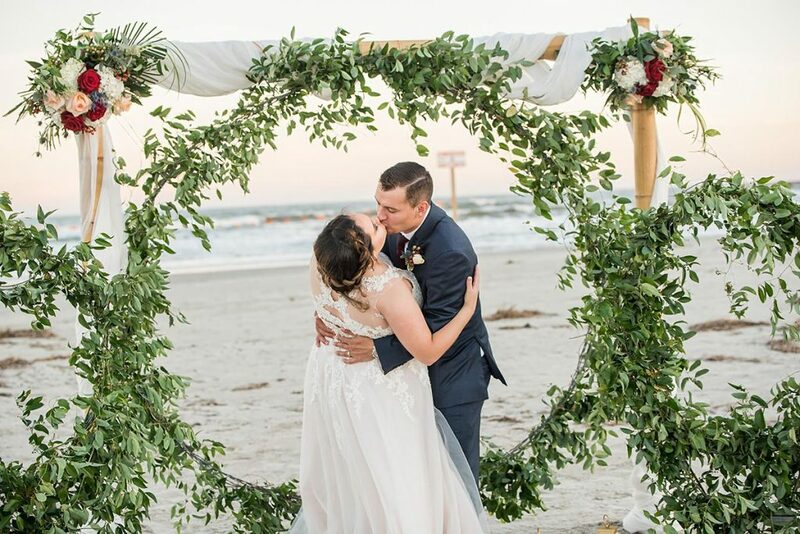 The first kiss and the new Mr. and Mrs.! 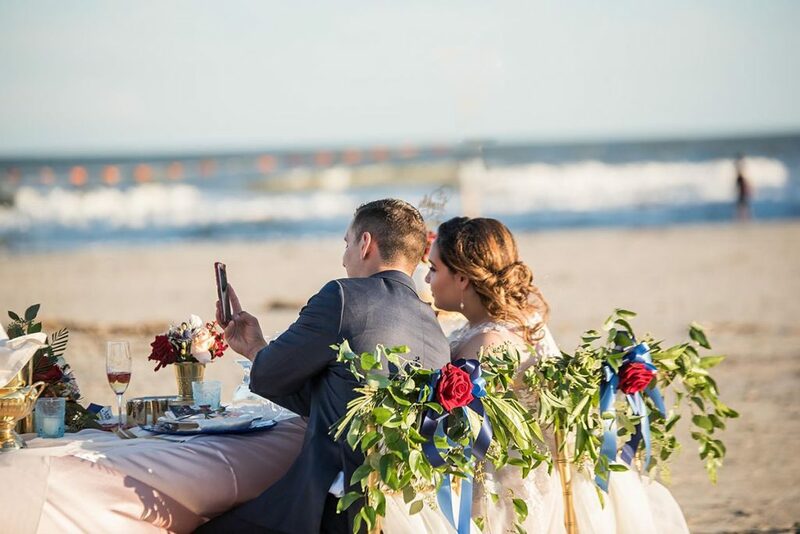 After the ceremony, the sun slowly set for a perfect beach dining experience. 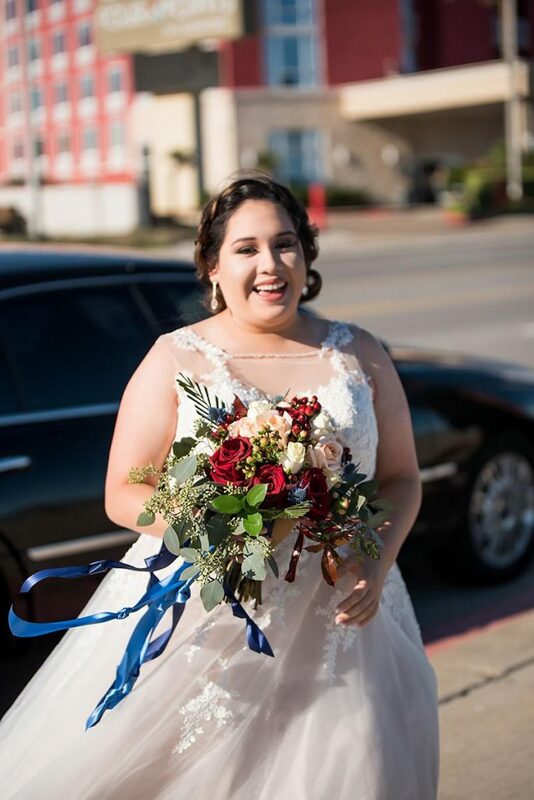 The bride was simply graceful as she held her hand tied garden bouquet. The groom’s boutonniere coordinated with the bride’s bouquet so lovely. 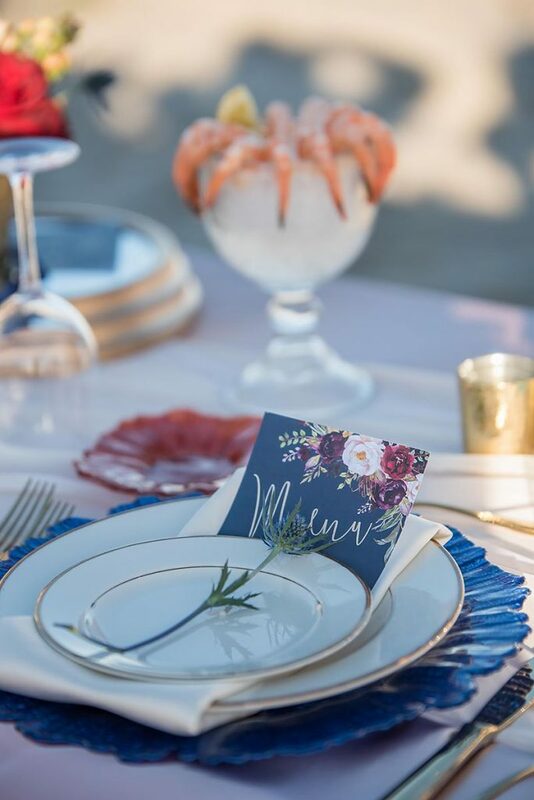 The couple opted for a romantic beach dinner to celebrate their union. The fall breeze was nothing compared to the love that was in the air! As they sat to review the menu, shrimp cocktail was an ideal starter to the meal. 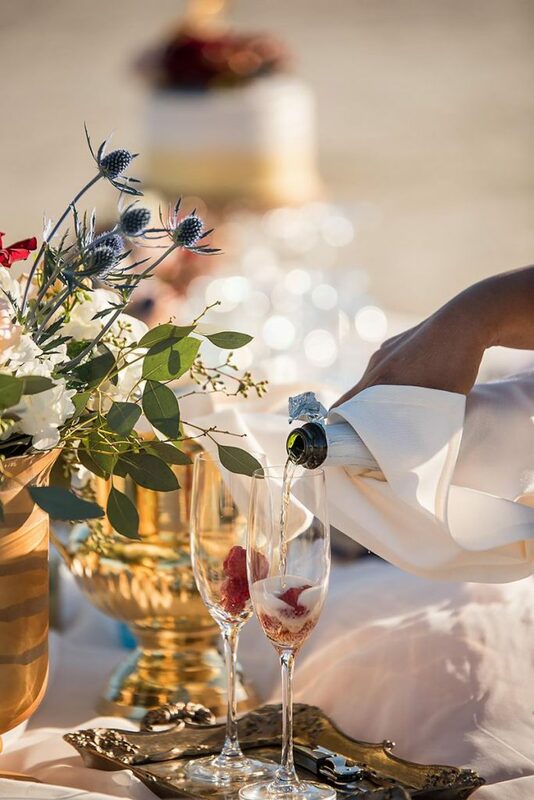 Fresh raspberries garnished their bubbly! Cheers to many, many awesome years! 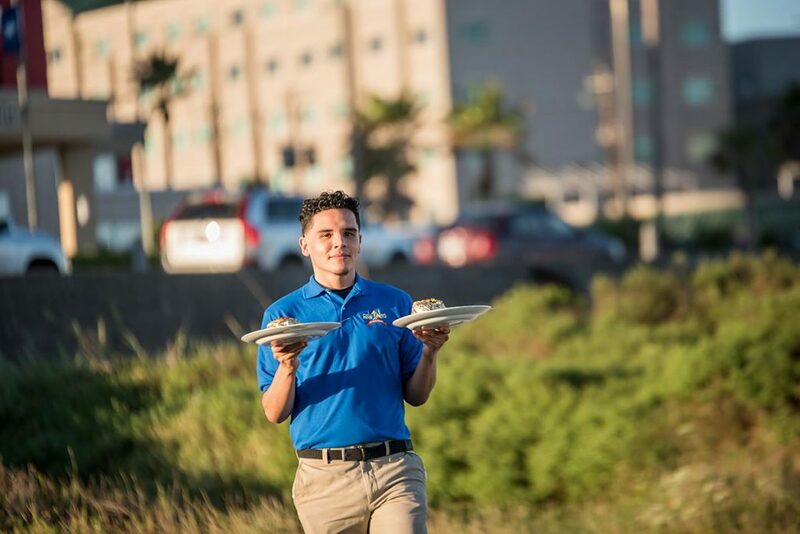 Fish Tales, a Landry’s restaurant, provided a wonderful beach dining experience. 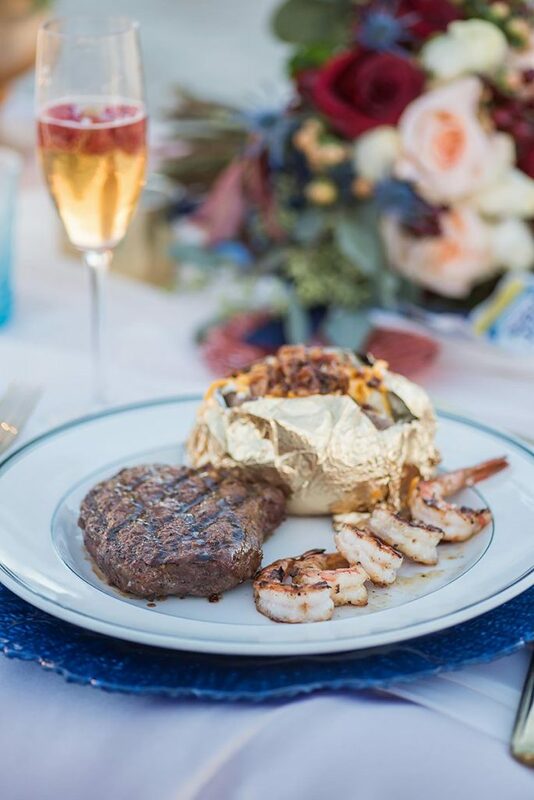 Surf and Turf, of course! Perfect couple, perfect wedding and a perfect end to the day. View other Galveston weddings here, here and here! 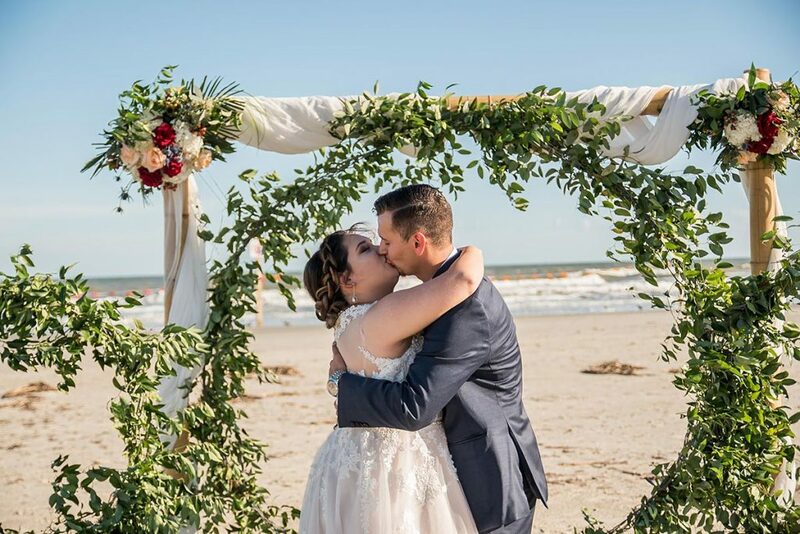 Martha and Chris’s Precious Moment: Their Galveston Beach Wedding! 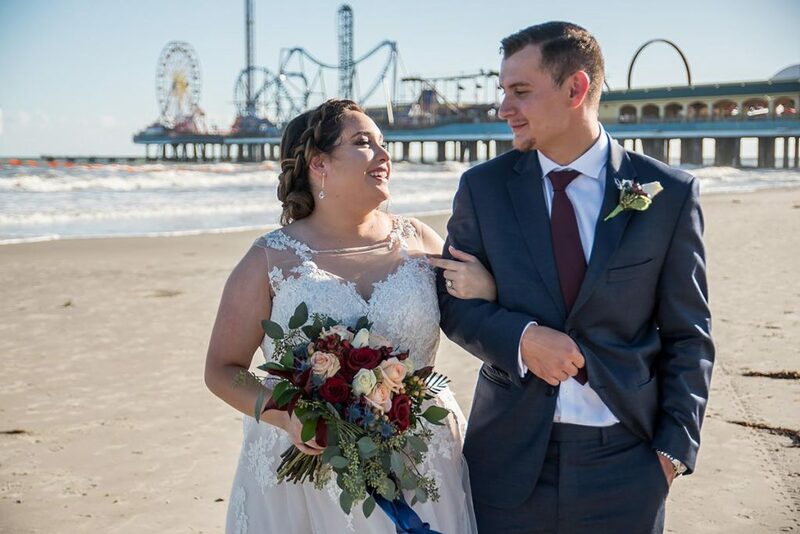 Enter your email address below to receive updates from Marry In Galveston.